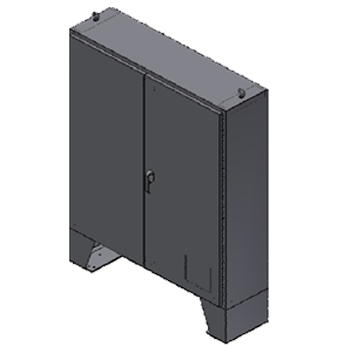 A wide variety of metal and non-metal enclosures, rated NEMA 1, 3, 3R, 3S, 4, 4X, 6, 6P, 12 or 13, are available in wall-mount, floor-mount and freestanding form factors from Steeline Enclosures. Styles include general purpose, custom, disconnect and pushbutton enclosures, as well as operator consoles. Many door and window configurations and latch/lock options are available. NEMA enclosures meet the National Electrical Manufacturers Association standards for performance and protection of the electrical equipment installed within them. NEMA enclosures range in size from small pushbutton boxes to room-size panels. Enclosures are given a NEMA rating according to the types of applications the enclosure serves. NEMA enclosures house a number of different electrical components from simple terminal blocks, to industrial automation systems, to high voltage switchgear. In industrial automation systems, NEMA enclosures often house motor controls, drives, PLC/PC control systems, pushbuttons, and termination systems. Some enclosures are configured to be operator consoles, while others are designed with flanges for mounting disconnects. So how do you choose the right application for the job at hand? Step 1: Where’s it Going? 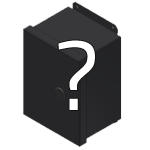 Your enclosure’s primary function is to protect the equipment inside it from the surrounding environment, right? Well, you need to do some thorough recon on the environment in which the enclosure will be located, and select the appropriate level of protection. An enclosure’s level of protection is defined by its NEMA rating (type 1, 3, 3R, 3S, 4, 4X, 6, 6P, 12 or 13). Althogu it may seem like a good idea, don’t over-specify the protection level of your enclosure, it’s just as bad as under-specifying. Why? The protection level typically increases the cost of the enclosure. Step 2: How Secure Should it Be? Steeline Enclosures wants to ensure and protect the contents within your enclosure from unauthorized access to the components it houses. We have a variety of options from screw and lift-off covers to single-door clamps. Let Steeline Enclosures know ahead of time what your concerns are so we can help you reach your custom enclosure needs. Although we do offer all standard NEMA rated enclosures, we do utilize a custom enclosure plan that creates enclosures to your exact specifications. Physical space for your components is not the only requirement. Considerations like heat dissipation and venting must be taken into account. To get an idea of the right size of your enclosure, measure the height and width of your enclosure by laying out the footprint space needed for your control components on a standard subpanel size. Do not forget to consider any mounting holes for the subpanel. The size of the enclosure will determine if you need a single-door, two-door, freestanding, or wall-mount. The subpanel mounting takes up a small portion of the depth, so pushbuttons, operator interfaces, indicators, meters, etc., that you plan to mount on the enclosure door will occupy enclosure depth as well. Make sure you are taking into account all elements and measurements of your enclosure before nailing down the depth. Step 4: Do You Need Climate Control? Your enclosure must be able to dissipate the heat generated by the components inside of it either alone, or by adding a cooling device. Some people choose to side-step additional cooling by upsizing their enclosure to increase the surface area through which heat is transferred to the atmosphere (but again, this is expensive if not measured correctly). The heat dissipation method selected must be compatible with the enclosure’s NEMA rating. For applications that call for effective, energy-efficient cooling and heating, Steeline offers customers the option of climate control accessories made by Pfannenberg USA—a leading provider of thermal management solutions for electronic enclosures. 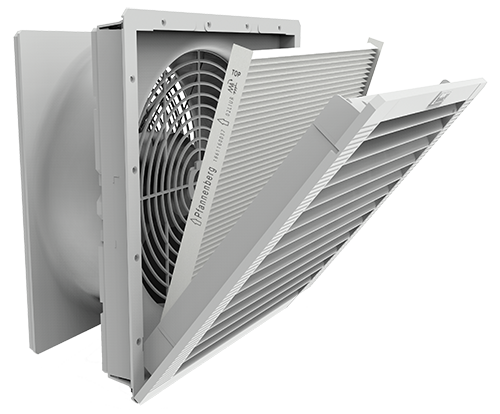 Pfannenberg’s thermal management products include UL Type 12 fans and louvers, 3R fan and louver shrouds, thermostats, hydrostats, heaters with thermostats, UL Type 12, 3R, 4, and 4X air conditioners and air to water heat exchangers. In addition, Steeline designs and manufactures a custom 304 stainless steel enclosure, with a protection level of UL type 3R, to safely house indoor electrical equipment in outdoor environments. For some applications, a louver plate will provide adequate heat dissipation, a fan kit and louver combination is the next viable ventilation option, but for small enclosures, a vortex cooler (such as the climate control accessories made by Pfannenberg USA) are your best bet. A sealed enclosure may require a heat exchanger or an air conditioner controlling the internal temperature without introducing outside air and its contaminants. Do you have questions, comments, or concerns? Don’t worry! Give Steeline Enclosures a call and let us help you find the perfect custom enclosure to fit your needs.